There’s a lot to think about when it comes to business relocation. Do you really know how to disassemble and reassemble those modular workstations? Do you know how to appropriately handle and protect all of your IT equipment and electronics during a move? When you hire Bulldog Movers to help with your business relocation, you don’t have to worry about any of these issues. 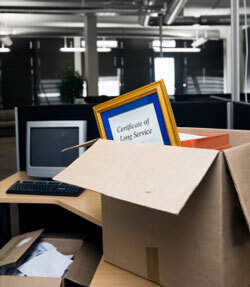 We have moving and IT experts who can gently transfer all of your furniture and equipment to your new office so you can focus on what really matters to you. We have over 25 years of experience in the relocating business in the Metro Atlanta area. Throughout that time we have earned a strong reputation and even an A+ rating with the Better Business Bureau. Furthermore, we have won the Consumers’ Choice Award for nine consecutive years and running. We will treat your office furniture and IT equipment as if it was our own for the entirety of your business relocation. Call or email Bulldog today for more information about our business relocation service in Roswell, Duluth, Atlanta, Peachtree City, and the entire Metro area.